Graphic designer graduated from the Superior Institute of Design (ISDi), Havana, 2005. He imparted and directed the typography matter during seven years at the ISDi. He has been dedicated to stimulate the creation and development of the typography in Cuba, in both teaching and professional environment. As Regional Coordinator of Tipos Latinos in Cuba, he led in 2010 and 2014 Tipos Latinos Biennial in Havana. His work has been presented in several exhibitions of graphic design in Cuba, Switzerland and Poland. 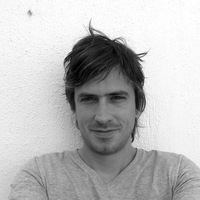 He has taken part in different national and international workshops and events of graphic design. Some of his writings has been published in the book “Tipo elige Tipo”. Guide of elected typographies by prestigious Ibero-American designers (Spain, 2010), “Arte por Excelencia Magazine” (Spain, 2011) and “Slanted Magazine” (Germany, 2013). In 2011, he founded DeMilán Studio to develop a wide range of typographic, editorial, corporate identity, web, multimedia and audiovisual design solutions, as well as his own art projects.